This month's highlight is TB Personal Stories, from the CDC Division of TB Elimination. Five new stories have been added as part of the ongoing TB Personal Stories series to help raise awareness about TB in the United States. The stories highlight the personal experiences of several people who were diagnosed and treated for TB disease, as well as the work of TB control professionals. The stories can be used for patient education, media, and other awareness activities. You can also share individual stories on social media using the social media graphics included on several of the survivor story pages. 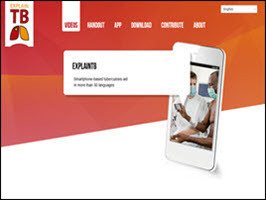 ExplainTB Mobile TB Aid, from ExplainTB. 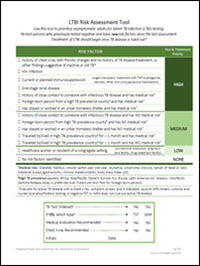 Latent TB Infection Risk Assessment Tool, from the Michigan Department of Health and Human Services. 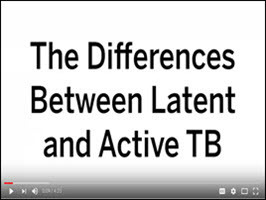 The Differences Between Latent and Active TB in English, from Scientific Animations Without Borders.